With the support of its 3,700 professionals and an unparalleled track-record and know-how, Unibail-Rodamco-Westfield is ideally positioned to generate superior value and develop world-class projects. The Group has the largest development pipeline in the industry of €11.9 Bn in total. 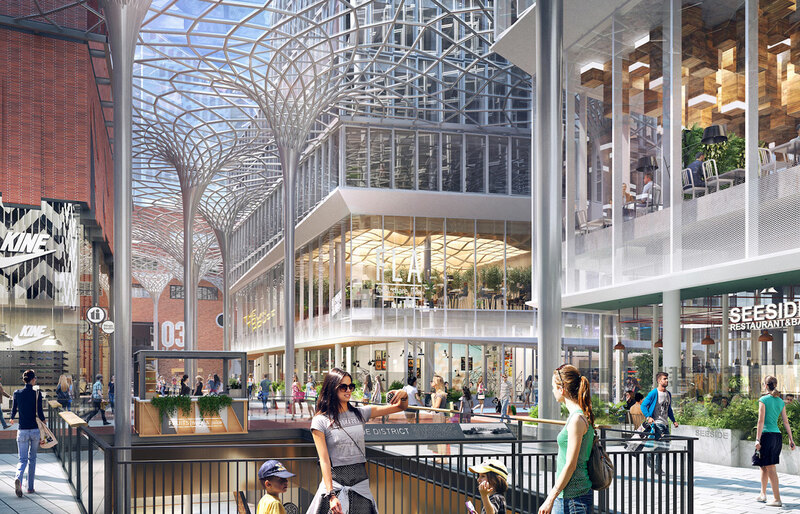 Unibail-Rodamco-Westfield distinguishes itself by its Better Places 2030 agenda, that sets its ambition to create better places that respect the highest environmental standards and contribute to better cities. Furthermore, Unibail-Rodamco-Westfield is developing two new building projects for around 1.2 billion Euros at present, southern Überseequartier in Hamburg HafenCity as well as Oskar in Osnabrück. These are supplemented by numerous project developments in the asset portfolio. Until 2020, Unibail-Rodamco-Westfield and its business partners are going to complete revitalisations Germany-wide with investments of more than 160 million Euros.